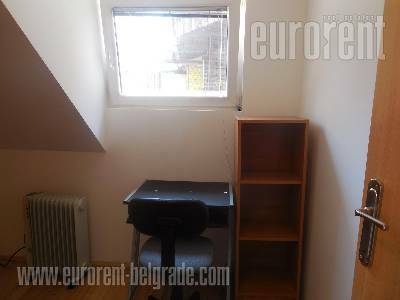 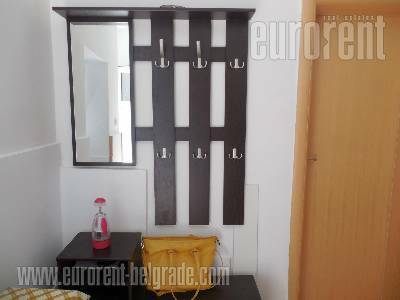 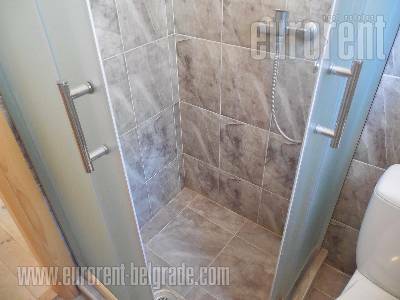 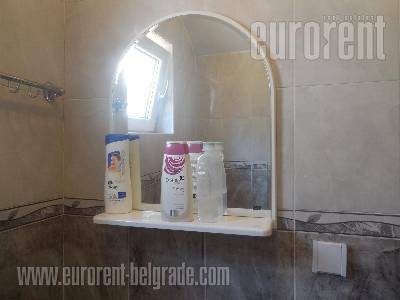 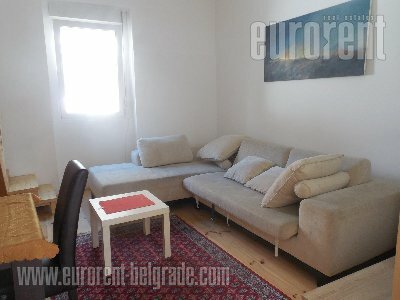 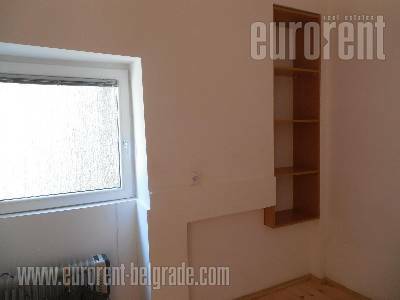 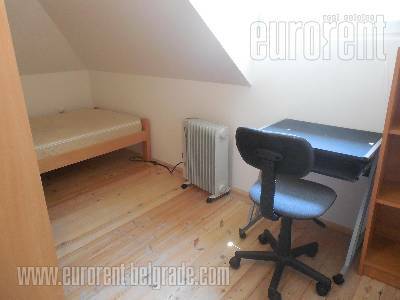 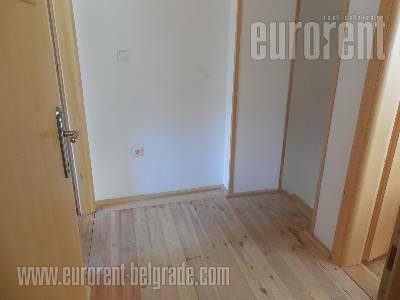 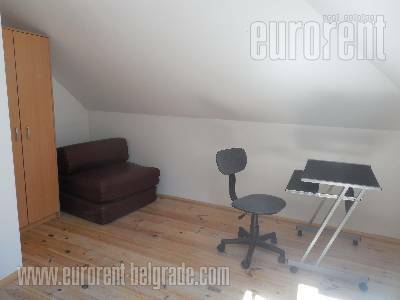 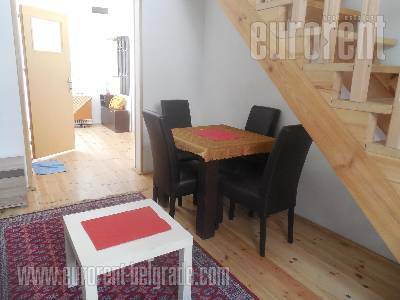 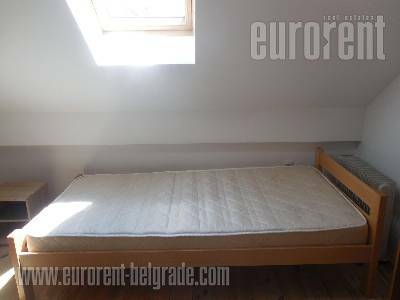 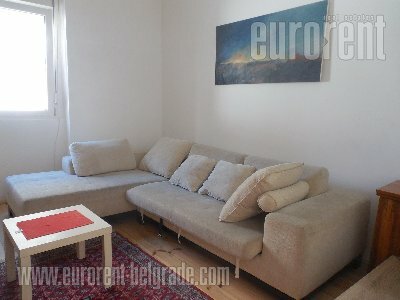 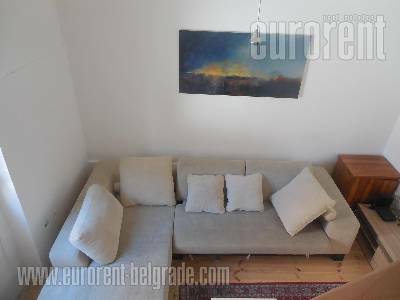 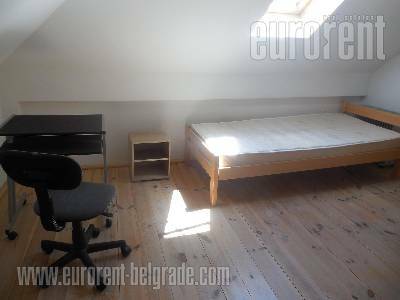 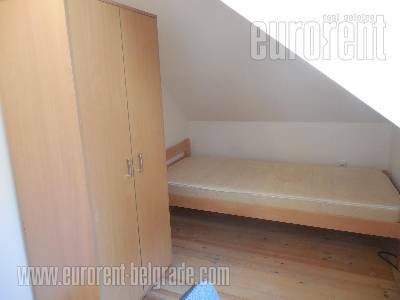 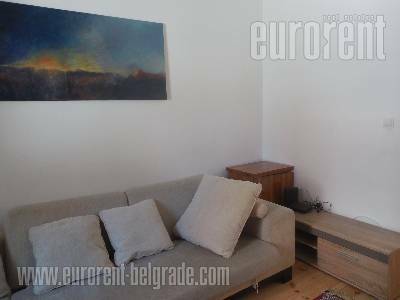 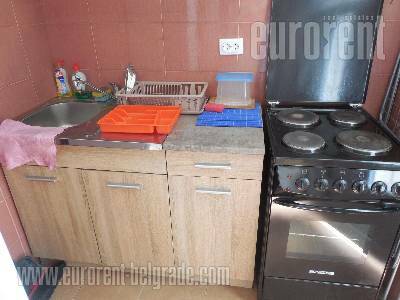 House situated in the wider city center, in a residential zone, at only about ten minute walking distance from Pionir hall. 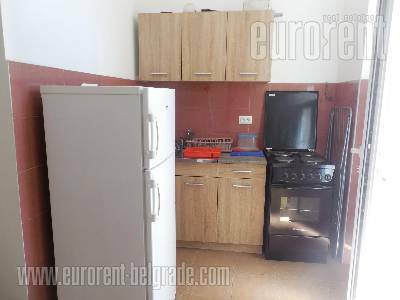 There are several parks nerby, as well as many contents neccesary for everyday life, such as banks, grocery shops and post office. 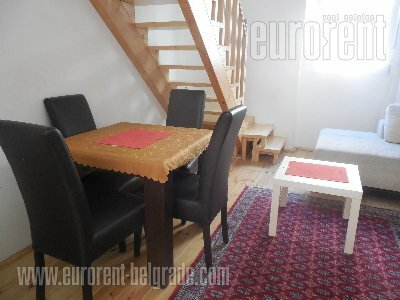 This part of the city is easily reachable and connected to the rest of the city through many busy streets. 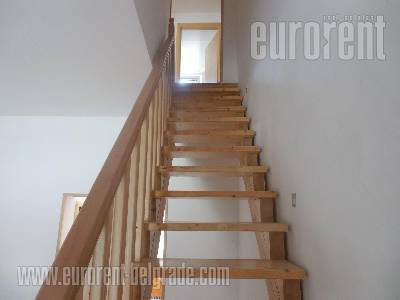 House is located in a quiet street, outside of parking zone. 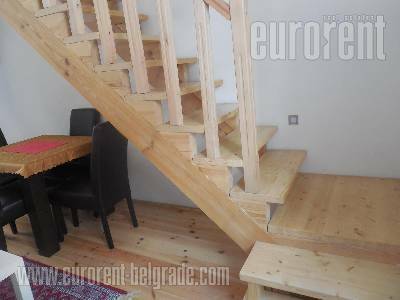 It consists of two levels, ground floor and top floor. 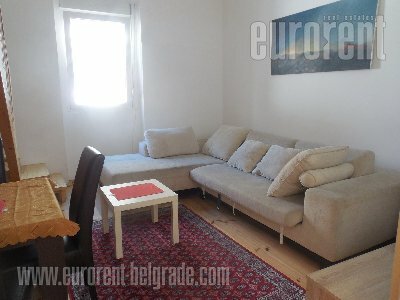 First level consists of an entrance hallway which leads into the living room, connected to a smaller dining room area and it is equipped with angled sofa. 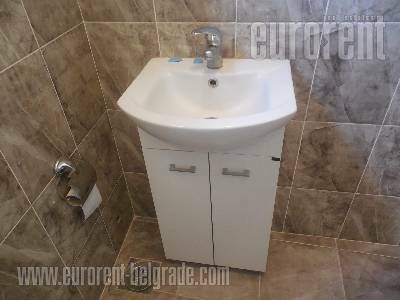 There is also a bedroom, equipped with a double size bed at disposal on this level, as well as a bathroom with a shower cabin. 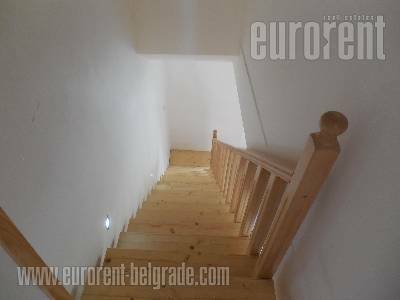 Staircase leads from the living room to the top floor. 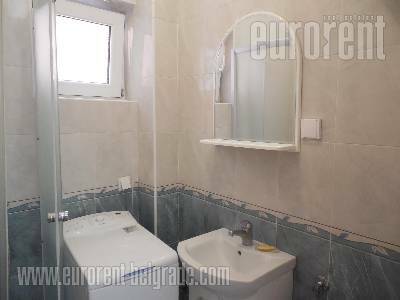 This floor consists of two more bedrooms, equipped with single beds, as well as one bathroom with a bathtub. 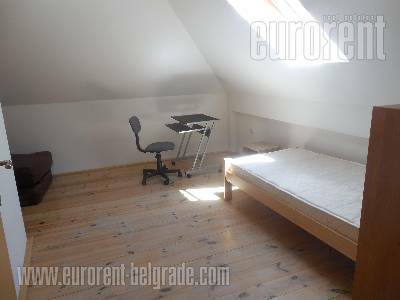 It has tilted ceilings, which do not disturb the functionality of space, while rooftop windows allow a lot of light to get in. 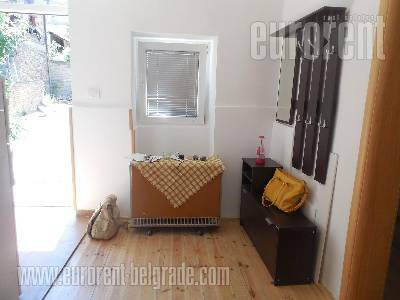 House is suitable as a residence for a family.